When Johnny and I were paying off our student debt (read Our Debt Story here), we sacrificed a lot. And we didn’t splurge on much. But there was one item we just couldn’t sacrifice: cable. Cable’s not cheap. On more than one occasion we asked ourselves if we should get rid of it. We had friends who were paying off school loans, too, or trying to save money for other reasons, and they DIDN’T have cable. But we just couldn’t give it up. To justify cable, we sacrificed in other areas of our budget. We never ate out at restaurants. Our big food splurge of the week was getting takeout (usually of the Thai variety). And our visits to movie theaters and sporting events were also few and far between. Our friends who didn’t have cable would invite us to meet at expensive restaurants or to go see a movie in theaters. We realized that they were sacrificing cable in order to eat at restaurants. That was their sacrifice, and this was ours. And why couldn’t we drop cable (and still can’t!)? Oh, and the other big reason we (read: JOHNNY) can’t go without cable? College sports. Johnny loves him some college football and basketball. Luckily, I like it, too. But Johnny gets genuine happiness out of watching his team play. Unless they lose… but let’s not go there. And during college football season we love being able to have a few friends over and hosting on game day. There are lots of other options that show lots of promise: Netflix, Hulu Plus, Amazon Video, Roku, etc. Admittedly, Johnny’s spent a lot more time looking into all of them than I have, but the selection on each service is pretty sparse and segmented. And none of those options offer live sports. *Sad trombone* So until a tech or cable company comes to the rescue and offers a true a la carte solution, cable’s it. But just because we have cable doesn’t mean we don’t find ways to cut costs. We never pay for anything beyond basic cable with HD. And every year, after our promotional price is set to expire, Johnny calls the cable company threatening to turn off the service and always gets off the phone with an even better monthly rate than the previous year. You should hear Johnny pretending to be dissatisfied cable customer. That whole process is probably worth a post in and of itself. So it’s been worth the splurge to us. Of course, now that we have a three-week-old daughter, our time is very limited. And we are spending much less time watching TV. So while it’s been an expense that’s been worth it so far, we might be reassessing our cable expense yet again at some point in the near future! Do you have cable? If so, what do you sacrifice for it? If not, where do you get your entertainment fix? What’s your must-watch show right now?… because all we need right now is ANOTHER show to be addicted to. I can’t quit cable either! I have way too many favorite shows. Right now I’m loving Catfish, BuckWild, Shameless and a few others. My all time favorites though are Walking Dead, Boardwalk Empire, Sons of Anarchy and TRUE BLOOD! Johnny and I just started watching Catfish. We love it! I swear my jaw drops every episode! We quit cable a year and a half ago. My wife probably wishes we still had it, but she realizes how much we’re saving. We use Redbox and Hulu Plus for our entertainment. Johnny, who’s your team? I’m a college sports fan too. WVU Mountaineers fan here! There’s definitely some serious savings to be had. But in these winter months, we’d be at a loss for how to spend our week nights. But maybe that wouldn’t be such a bad thing if it meant picking up a new hobby. I’m a BYU and USC (Southern California) fan. I actually think my Cougars are playing your Mountaineers in 2016. A ways away, but always look forward to good match-ups. Nice! Are you LDS too? I just joined the church about 3 years ago after getting married. Better believe it! That’s awesome. Now we just need to make a Cougar fan out of you. We quit cable more out of necessity than anything else. We’re just watching local channels now, and there’s 2 or so that we really love, so they suffice. It’s most difficult in winter, as summertime provides us with a lot more comfortable outdoor activities. I suspect we’ll go back to cable after the debt is gone, for hubby’s sake. :-). You guys are doing value-based spending, which is what money is for, after all, so it sounds like you’ve made a good decision in keeping cable for your home. We definitely watch a lot more cable during the winter! Good for you guys for cutting back until the debt is gone. You guys are obviously serious and disciplined about being debt-free so you’re gonna get it done! I agree with Johnny that the need for live sports via cable trumps any other TV-watching method. I’d much rather enjoy the game (Go Irish!) with some take-out (we enjoy Meditteranean or Pizza) than an expensive dinner or movie. Paying $6 for a beer really grinds my gears! It helps both my wife and I unwind after a busy week. Amen, brother. I was pulling for the Irish in the NC. My in-laws are rabid Bama fans, so I usually cheer against them to get a rise out of them. I’m hoping to watch my team, BYU, take on ND at South Bend next season. We cancelled our cable and now have Hulu/Netflix for a total of $15.98 per month. I don’t miss cable at all. When we cancelled it, we were paying almost $80 per month! It wasn’t worth the splurge for us but everyone is different. If it weren’t for live sports, we’d definitely consider just doing Hulu and Netflix. But a few months ago we added on DVR, so now I’m REALLY addicted to cable! I haven’t had cable (or basic channels, which is apparently no longer a thing) at all. I think I’ve had cable for MAYBE the total of a year in the past… nine years (including when I was living on my own prior to getting married). We’ve had it during ‘super promotional times’ and then cancelled it right after. It’s just not a priority for us, although it’s a pain to follow the news during election season, etc. We do Netflix, though, which is pretty lame… but at $7/month, it gives our girls all of the episodes of Super Why that they could want, and we’ve hopped on board a few series trains (Prison Break, holla at your girl) thanks to it. Your life is probably a lot more exciting than ours! I think back on times when I never watched TV, and it was when I was in college and actually DOING things each day/night! During the summer I would say our TV-watching goes down to almost nil, but during these awful winter months, it’s our go-to entertainment! I’m totally with you! While paying debt off we sacrifice a lot and we enjoy TV, if we cut every ounce of fun out while in debt repayment we’d be pretty depressed! We cut back some of our packages a lot to save money but we actually can’t get rid of cable b/c of hubby’s blog! He’s a sports blogger for an NHL network so we actually NEED the sports pack haha. Sweet! I love when cable is actually a necessity. Johnny was working in politics for a little while, so we HAD to have cable so he could stay up on election stuff. 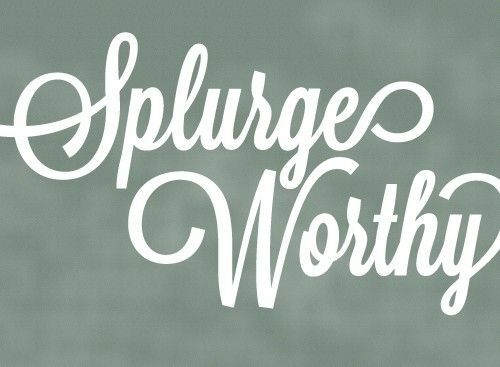 You find the money for things you really enjoy, so for us it’s been worth it. I have the exact same problem. I really should cut back on cable TV. I need to save money for my emergency fund. However, Wifey and I just cannot give it up. The shows we are watching right now are The Biggest Loser, New Girl, The Mandy Project, Modern Family, Undercover Boss, Shark Tank, Shameless, House of Lies and Californication. Also, wifey loves Love it or List on HGTV. I like Restaurant Impossible too. See why we cannot give it up. Like Catherine said in the comment above yours, you can’t cut out every ounce of fun when you’re saving! Based on all the shows you enjoy, I would say you’re getting your money’s worth. And Johnny and I LOVE Shark Tank. It’s made us huge Mark Cuban fans, too. I forgot about that show, or it totally would have been on our list. I dropped cable like a bad habit a year ago and went with an over the air antenna along with Netflix. My wife and I don’t really watch much TV, so we couldn’t justify the cost. If I cant’t find something on our 25 channels then I work on my blog or do something outside. That’s awesome! It is pretty pricey each month, so if you don’t use it, give it the boot, which you did! We’d all probably get more done if we said goodbye to cable! Sometimes, though, nothing beats relaxing with a good show. We’re in the same boat as you. I’d love to give up the cost, but we splurge on so little. To make matters worse we also have HBO…I know, I am a terrible PF blogger. 😉 I also love college football and there is no way to be able to see every game without cable. We’re tight on everything else in our budget and if you can’t spend a little money on something you enjoy then life gets awfully boring really quickly. Totally. We all have to splurge a little or else we wouldn’t enjoy saving. I think a good show is the perfect way to unwind. College football, on the other hand, is far from relaxing in this house. I haven’t had cable for close to 5 years. Netflix, Hulu, Amazon Prime are my primary sources for watching shows. My husband and I enjoy watching the Star Trek series on Netflix together most nights before going to bed. We also enjoy Breaking Bad, Game of Thrones, Walking Dead and American Horror Story to name a few. You can find almost any show online these days…including live streaming sports…I can’t go without watching my Packers! That’s awesome you can find all your shows without cable! And on the few occasions Johnny hasn’t been able to find his football/basketball game on TV, you better believe he’s found a way to stream it online! When I think about my cable budget, I realize that it includes internet. Many of my friends pay about $40/month for internet. If you bundle with cable you can get it all for about $100, everything included. I therefore figure I spend about $60 on cable, and it’s well worth it because we are the same as you guys -> we watch tv shows instead of movies! Probably a little less commentary, though 😉 Also, to be honest a lot of it is for sports. And our cable and Internet are bundled as well, which does make it a better deal! 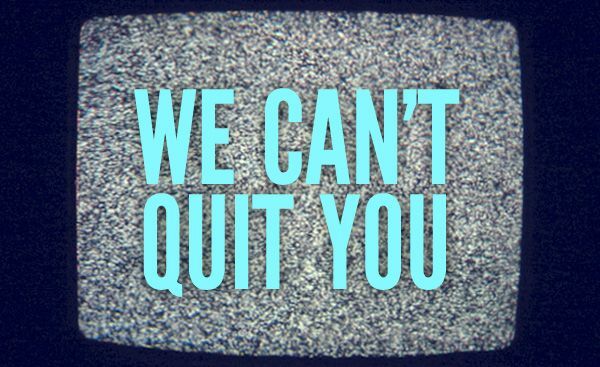 we also can’t quit cable. as much as i’d like to, that’s our “thing” too. we don’t go out a lot, but you can often catch us home on saturday nights watching tv. i would REALLY like to hear the “dissatisfied customer” routine because it’s coming up on ours. how can we keep the promotional rate??? A post is probably warranted for my tactics, but it’s really nothing too elaborate. I basically tell the sales rep I want to know what my bill would be if I canceled cable (since I bundle it with Internet). Usually, as soon as I threaten canceling, they’ll start “working numbers” and I’ll refuse the first one or two quotes. If I’ve been with the provider for a couple years, I’ll throw in the loyalty card and they usually pass me off to a “retention specialist.” But basically, stay wishy washy until they throw you a number that works. Make the sales rep feel like he did a good job “saving” you. We cut cable a few years ago and bought an antenna to watch broadcast TV. We have Netflix and watch Hulu for current shows. I think cable can perpetuate its own need, because if you stop for a while you will just not become addicted to the shows that are only available through cable. We’re happy watching old TV shows that we missed the first time around on Netflix and the current CBS and NBC comedies. If we ever accumulate some money in our Electronics savings account, my husband wants to buy a PC to dedicate to recording TV and that will function as a DVR. The sports issue is a very serious one, I agree. My parents’ cable package has an online login for ESPN and ESPN3 and they gave us their password, so we can watch nearly everything we want (college basketball) between that login and what’s broadcast over the air. The online streaming isn’t the best quality always so we tend to not invite people over for viewings unless we’re watching games over the air. I definitely agree with what you said about values, though. We’d rather see live shows than watch cable – you guys have a different preference. Nothing wrong with that. Cable definitely perpetuates its own need… we accepted that a long time ago! We really enjoy it, and having DVR has made me even more certain that I can’t do without it! We have friends who do the same thing as you with using their parents’ log in info for ESPN3… very smart solution! HBO and live sports… Those are the real reasons I have cable. The good news is I haven’t paid for HBO in years (they are always willing to keep giving it to me for free). I know there are shadier ways to watch live sports free, but I just won’t do it and the option of going to a sports bar would just end up costing me more (both in money and in my gut). I have thought about going “halfsies” with my dad and just hooking up a slingbox to his home set up, but I just feel a little dirty doing that. I’ve had to resort to finding streams on the shady live sports sites before. The feeds are generally pretty bad, and it’s super unreliable. So no go for me. And agreed that sports bars would probably do more damage than a cable plan. I had a friend who went the Slingbox route and it was a pretty lousy feed. The best option I’ve considered is going halfsies or finding a friend willing to dish out their ESPN3 login. I’ve let my family borrows ours in the past, but with all the blackouts on there, that’s still not a perfect option. Well, like you guys, over the years we too have never given up on cable. And like you we’ve sacrificed in other areas to keep within our budget targets. One thing that we found was that when our kids were young, there were quite a few entertaining and educational programs, like Sesame Street. Now we just didn’t park them in front of the tv all day as we also made frequent trips to the library to take out books and films for them. Like you guys, my wife and I also had / have our favorite tv shows so I guess it’s all a matter of a family’s preference and priority. As time passes, you may decide to subscribe to not only basic cable to also to an optional children’s educational channel, whatever may be available in your area. Saving / budgeting / investing is one thing. Educating and providing diversified life experiences to yourselves and your children are another. The internet is one answer. TV and other media sources are others. It’s really your choice. That’s a great point on educational programming for kids. And from what our friends with older kids have told us, there’s a far better selection now than when we were kids. Although I don’t know if there will ever be a better option that Mr. Rogers’ Neighborhood. That show was so so so good. I haven’t had cable for maybe 14? Years. For a long time I worked two jobs, the cost seemed astronomical. While I’m doing well at just one job, between reading ( I read A LOT), an antenna to get the “free” channels, Netflix and some fill in on iTunes, I’m good. Though I do love college football and NFL so am thinking about getting cable just for the fall. I actually considered doing a Fall only deal two years ago. It’s definitely worth looking into. I could make do without MLB and NCAA basketball… maybe. And you reminded me that I need to start cracking my 2013 reading list before January turns into June. I can’t quit cable either. The boy and I are huge Canucks hockey fans and we watch every game It’s a cheap date night for us. My other favorite tv shows at the moment are Glee, Breaking Bad, Criminal Minds, Law & Order SVU and GAME OF THRONES! I’m glad other couples watch shows at home together as a date night! I know we really enjoy it, but I’m sure it sounds kind of lame to some people! We don’t have cable, nor do we even have a TV. But we watch more movies than tv shows, so it works out. The few shows we do watch we either go to a parent’s house for family time and watching time or find on Hulu for free. Sometimes I get a little sad that we don’t get to try out new shows as often, but then I get distracted with something else and it ends up not mattering. Yes, there’s always something to do besides watching TV! Johnny was just saying that he feels like he doesn’t have enough time in the day, so we might try out a few days without TV to see how much more we accomplish! I nixed cable while I was in SERIOUS debt payoff mode a few years ago, but once I got a raise and got a few loans paid off, I got it back. Someone above said that it doesn’t make sense to have Internet without cable and I kind of agree, unless you’re getting a really rad deal on JUST Internet (which is hard to find). If we had gone without cable while paying off debt, I’m sure it would have made us appreciate it even more! We’ve had a cable/Internet bundle for as long as I can remember. So far we haven’t been able to find a better deal! We do occasionally go to concerts (though I think we’ve now seen all the bands we want to see live) and the odd movie at the cinema (which I use credit card rewards points for). Good idea on using credit card reward points for movie tickets! I hate the feeling of purchasing $12 tickets! And we recently got DVR (probably similar to MySky), and now I don’t think we’ll ever be able to live without it. EVER. I have just basic cable, and there were a lot of shows I was missing at first, until I realized just how many I could catch on hulu or netflix. I media swap with a friend. He was hulu plus and I have netflix, to maximize our viewing options. Fortunately I don’t watch sports. I can see where you’re coming from though, if that is your main source of entertainment. Sports are definitely Johnny’s main source of entertainment (as well as high blood pressure!). I love the idea of swapping your Hulu/Netflix accounts with a friend. Super clever! I love all those shows!! I have a certain cadre of friends that share login information with each other so I have HBO Go, Hulu, Netflix, and DirecTV for only the price of Hulu. I sort of feel bad…but not bad enough to stop. I can’t watch Breaking Bad because, being from New Mexico, that show is more factual than most want to believe. It depresses me to watch lol. Awesome! Way to work the system. And it’s funny you should say that about Breaking Bad… Johnny and I have wondered before if it’s at all realistic to certain parts of New Mexico. Way messed up to hear it is! I love Parenthood. Johnny’s never watched with me, but I totally dig that show. I haven’t been able to watch it lately because I was so emotional while I was pregnant that I was crying during every episode, haha! I haven’t had cable for at least six or seven years. I check out most of my shows from the library or watch NBC, CBS, ABC, PBS, and the CW. I am perfectly happy doing this. Shows I check out from the library: True Blood, Game of Thrones, Luther (BBC London) I will start watching Downtown Abby soon. I am a little out of the loop and I have to wait but it always works out. I also use HULU. The problem would be some of the sports games for Johnny. Maybe he could hangout at friend’s house who just happens to have cable?? HEHE. The friend will never know that they are helping you save money! But, with your teeny tiny do you two have time to watch t.v.? Or, is she sleeping a lot? The library is a great resource! Good thinking. I’m hoping to start using it more for books so I save some money in that department. We’ve been DVRing our shows since Baby Girl was born, and we watch one together at night after she’s asleep. It’s our little time with just the two of us, something that’s few and far between these days! If basic cable will suit your needs, with hulu, netflix, streaming from the internet, etc. you might consider an antenna. Newer TVs will give you a high-def signal when you use an antenna, and then you can have your sports for free. Something to look into, possibly. Basic cable would likely suit our needs for everything… except sports. Unfortunately most of my teams and sports are on the ESPN family of channels. I’ve considered linking up with a friend or family member who would be willing to let me leech from their WatchESPN account, but I don’t feel too great about that option. So for now, my sports fix is an unsolvable obsession. But that’s a great tip about the HD antenna. I have considered cancelling cable for months. I have considered every show I watch and most of them are on Netflix and Hulu so I am good there. The only thing that holds me back is watching sports, specifically, the NBA and NFL. The NFL is not as much as a concern considering the games are (for the most part) on free local TV. The NBA is a different animal as I am a huge fan. The games are mostly on TNT/NBA TV and ESPN. If you don’t have cable, you don’t see the ESPN/NBA TV games. I believe TNT streams their games but I’m not sure it’s all of them. I suppose if I truly want to be debt free, perhaps I should make jump and just make the sacrifice for a little bit. I’ve been in same boat for a few years, John. And while my vice is college football and basketball, the conundrum is the same — almost every game is on cable. I’ve considered going the sports bar route (which is easier for football where there are so few games), but by the end of the month, I’d probably throw just as much money at food/drinks there than I would at a cable plan. I’m hoping that someone in the industry will shake things up in the next couple years and channels like ESPN will offer their channels a la carte on the Internet. Then I could ditch cable for good.